Welcome to the Tampa Bay Paralegal Association's website! Welcome to the Tampa Bay Paralegal Association's website! Please bookmark this page and check back often for the latest in news regarding TBPA. If you are a member, please log into the website and go to the "Member Center" for further information, including the Job Bank and Newsletter. If you are unable to login, please contact our Technology Chair/Webmaster. Tampa Bay Paralegal Association, Inc. ("TBPA") is a member association of the National Federation of Paralegal Associations (NFPA) which provides TBPA members automatic membership with NFPA. TBPA is also a member of the Florida Alliance of Paralegal Associations (FAPA) and all members of TBPA automatically become FAPA members. In addition, TBPA is an affiliate of the National Association of Legal Assistants, Inc. (NALA). Here we are at the beginning of Spring and not only is nature all around us extraordinarily beautiful and busy this time of year, but so is our legal community as well as your TBPA Board of Directors. I attended the National Federation of Paralegal Association's Region III meeting with TBPA's Treasurer, Melissa Cook, in Indianapolis, IN on Saturday, March 16, 2019. Melissa and I came back with a renewed appreciation for the profession and our colleagues across the country who are doing great things to advance this profession. TBPA Board Member and Director of Technology, Nichole Parsons, will be attending "PersoniFest 2019" from Monday, April 8, 2019 through Wednesday, April 10, 2019, in Savannah, GA, to participate in training sessions and demonstrations on how to get the most out of TBPA's website platform, Wild Apricot. The Board looks forward to Nichole's report on this seminar and her suggestions on improving our website and communications with you, our members. TBPA Board Member, Irene Medina, and I will be attending NFPA’s Joint Conference in Denver, CO from Friday, April 26, 2019 through Sunday, April 28, 2019. The three day Conference will cover Regulation, Certification and Leadership. This conference is always a long weekend of intense workshops and seminars organized to educate and inspire the NFPA members that attend. CALL FOR COMMITTEE MEMBERS: Your Board of Directors is working on plans for the coming year, and encourage you to be a part of TBPA's 2019 adventure! We are always looking for members to serve on committees. Check the Committee Page on our website (www.tbpa.org) to find the all TBPA has going on and information on contacting the Committee Chair via email. Many committee meetings take place via phone conference and/or email. Our committee chairs work hard to fit the meetings into everyone's schedules. CERTIFICATION INFORMATION: We are looking for CP, ACP, FCP, RP and CRP members willing to volunteer to lead certification workshops for our members interested in taking the NALA Certified Paralegal Exam (CP), or NFPA's certification exams, PACE (RP) or PCCE (CRP). Participation would consist of teaching a specific area of law and/or topic on the exam. This workshop will likely be conducted on a Saturday and will be an all-day event. If you are interested in lending your skills to further the advancement of your fellow TBPA members, please contact our Certification Chair, Irene Medina at certification@tbpa.org. Thursday, April 18, 2019 is our monthly membership lunch & learn at The Tampa Club beginning at 11:45 a.m. Our speaker this month is Paul Suppicich, Esquire who will be speaking to us on the topic of "U.S. Immigration - Waivers of Inadmissibility!" Paul will present of some of the reasons why the U.S. State Department could find an applicant for an immigrant visa to be "inadmissible" to the United States and therefore deny their application, including criminal history, fraud or willful misrepresentation or unlawful presence and seeking waivers to permitting entry into the U.S. as an immigrant. Finally, Paul will go into some detail about the types of evidence necessary and the elements of legal briefs required to be approved for a waiver. Saturday, April 20, 2019 is the quarterly “Wills for Heroes” event from 9:00 a.m. to 1:00 p.m. at the Hillsborough County Bar Association, Chester H. Ferguson Law Center located at 1610 N. Tampa Street. If you are interested in joining other TBPA Members at this Pro Bono event that helps our Tampa First Responders (including members of the police force, sheriff’s office and fire departments), please contact our Pro Bono Chair, Lance Cochran LaFleur at probono@tbpa.org. Saturday, May 18, 2019 is the 6th Annual Pirate Plunder Party hosted by HCBA's Community Services Committee from 12-3 p.m. at A Kid's Place (1715 Lithia Pinecrest, Brandon, FL). The Pirate Plunder Party benefits the children at A Kid's Place, a foster care facility for abused, abandoned, and neglected children. Volunteers coordinate games, food, and fun for the youngsters living at the facility. A Kid's Place is a non-profit center for abused children where kids can relax, refocus and heal. Stay tuned for more information on how you can participate in this heart-warming, worthwhile event! In conclusion, I encourage you to email me at president@tbpa.org with your ideas, comments and suggestions on how we can continue to grow TBPA and serve the needs of the Tampa Bay Paralegal Community. President, Tampa Bay Paralegal Association, Inc. If you have any suggestions, updates, or information on any subject that you feel might be of interest to other paralegals and you would like to share that information, please feel free to send an email to our Technology Committee via webmaster@tbpa.org. By nature we paralegals are all very busy. Your Board continues our drive to make this organization work for you! We look forward to seeing you at our upcoming events! As a member-driven organization, we love to receive input and feedback from our members. Please feel free to contact us with any comments or suggestions. Membership Applications are available and more info on the membership categories and member benefits can be found under the Join Us tab. The Florida Bar News recently posted a very interesting article on March 21, 2019 titled Survey Looks at Paralegal Salaries that discusses paralegal's salaries. "Sixty-two percent of Florida law firms use paralegals and 51 percent of those say their paralegals averaged more than 1,000 billable hours last year" Do you know what average salaries for paralegals are where you live? Take a look at the full article here. 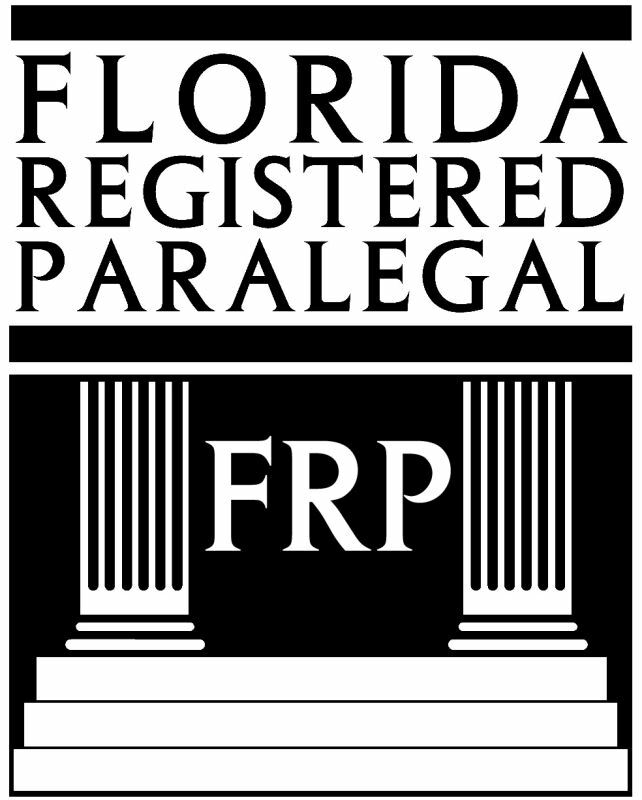 In a recent FRP News email from the Florida Bar, Shelly Zambo, FRP wrote the following: "The Florida Bar FRP Enrichment Committee is on the Move." The future is bright for Florida Registered Paralegals. The inaugural meeting of the Florida Bar’s newly-formed Florida Registered Paralegal Enrichment Committee was held at the Bar’s Winter Meeting on January 18, 2019 in Orlando. The mission of the Paralegal Enrichment Committee is to bring more awareness to the legal community as to how valuable Florida Registered Paralegals are to the legal profession. See the entire email here. Interested in Sponsoring the 2019 Seminar and seeing your name & Company Link here? Check out the Seminar Sponsor Page or download the Seminar Prospectus now to secure your discounted rate! If you have any difficulty logging in or experience a dead link or other problems navigating the website, please contact the Webmaster.